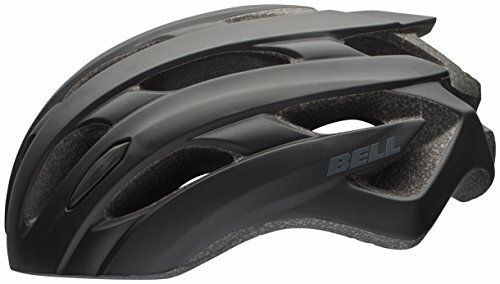 Most Comfortable And Best Bike Helmets For Big Heads. A vital consideration when searching for bike helmets is the fit. We have extra-small, small, mediums…all the way to large and extra-large; the two recommended sizes for bike helmets for big heads. Of course, the best helmet should also be light, cozy, and capable of handling significant impacts. But today, I want us to talk about the fit and specifically, get to learn more about good bike helmets for large heads. What’s The Best Bike Helmet for Big Heads? I personally have a wide head (front-to-back) and have been wearing helmets for big heads since my first bike. From my experience, in addition to fitting snug; the best extra-large bike helmet should be cool, comfortable, and able to cushion a blow. It should also be lightweight, adjustable, good looking, and if possible, have even room to spare. Advantages of Wearing the Perfect Fit Bike Helmet. 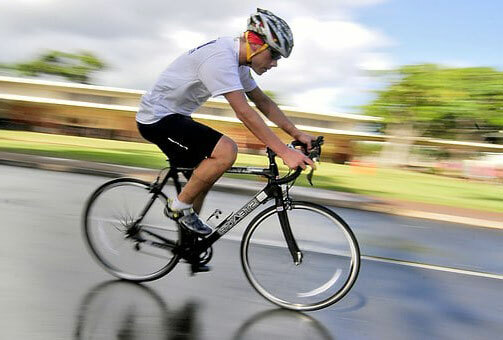 A good fitting xxl bicycle helmet is likely to be more forgiving than an ill-fitting size. You will feel extremely relaxed and enjoy your rides even more. That wearing a helmet can save your life is not in doubt. But the thing with helmets is that if it can’t fit your big, wide head well, you are more at risk. It either wobbles around the head and can come out or is tighter in some spots reducing cushioning and its ability to handle impact. This leaves you exposed to injuries in case of a crash. Easier to get in/out off. Getting into an undersized helmet is downright stressful same as removing it. Biking should be fun and such struggles may spoil everything. Here Are Different Extra-Large Bike Helmet For Big Heads. Road bike helmets are light, more ventilated, and have an enhanced aerodynamic design making them a favorite for roadie enthusiasts. These helmets typically sacrifice visors to keep their weight at a minimum and to give an unobstructed view, crucial when you are crouched down in aggressive riding positions. Personally, I find the Bell Event road Helmet inspirational for road racing enthusiasts. Because of its inviting charm and comfort-first construction, you will stay cool, cozy, and 100% focused on your ride. Mountain biking is thrilling, adventurous, and perhaps even dangerous. But you have little to worry about if you have the best mountain bike helmets. On top of that, an adjustable visor can be handy for the trail as it shields your eyes from rain, mud, sun, and tree branches. Surprisingly there are a lot more choices than I had anticipated and some of them are really neat. 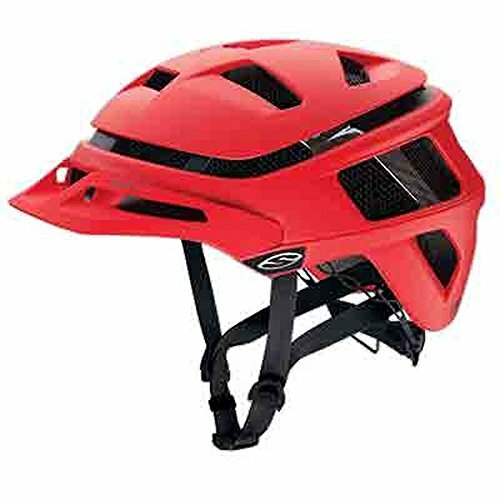 For example, you can check the Smith forefront mountain bike helmet…..I find its Koroyd tubes better in absorbing impact than conventional EPS foam. On the other hand, I have a friend who insists that the Kask Rex MTBs Helmet is one of the best. Maybe you can check the two and be the judge..
Sports bike helmets gear towards the riding style of sports bicycles and are aggressive-looking. The models are also designed to deliver maximum shielding while riding at solid speeds. Indeed, the best sports bikes helmets for large heads are continually adopting the top qualities of the leading professional racers’ helmets such as excellent aerodynamics and sophisticated polycarbonate construction to lower weight. The manufacturer says he made this to cater for the largest head and I fully concur. The giant helmet fits deeper than all my previous helmets and has serious ventilation and I cannot recommend it enough. 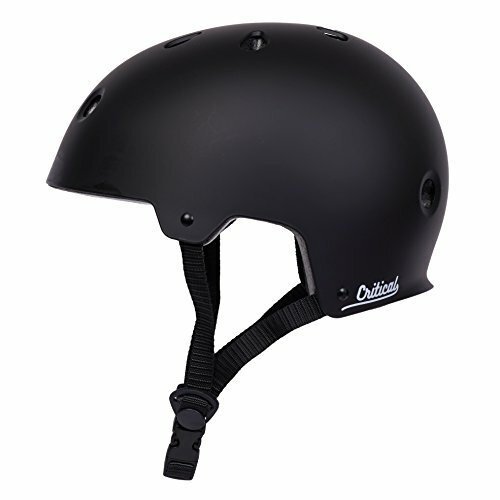 Most commuter bike helmets feature safety and comfort-improving qualities unique to commuter bikes, including adjustable harnesses that wrap superbly around your XL head for uniform pressure distribution. Their ventilation effectively cools your head thanks to larger cooling vents. Most are performance oriented and have a well-thought-out design with ample room to accommodate all shapes. If you are looking for an awesome large head commuter bike helmet, I would suggest you look at the Critical Cycles CM2 commuter Helmet. Its hard ABS exterior teams up with a fully-formed EPS foam interior to jealously guard your skull. And it’s very spacious. And you know what to expect with aero road helmets……“Free speeding” models thanks to a reduced drag. These helmets tend to be somewhat warmer on winding, slow climbs. So, you will want good ventilation. 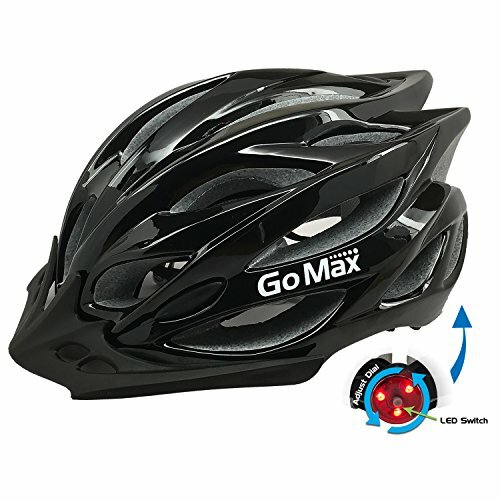 Now if you’re a fan of Aero bikes, there are some interesting gems but the GoMax Aero Adult Safety Helmet is, in my opinion, an outstanding fit for contemporary aero bikes. It fits huge heads perfectly and will keep you cool everywhere. My partner has been using it for some time now and she looks right at home. The joy of e-bikes is the speed so your e-bike helmet should provide more protection for the head. These helmets have typically thicker foam and well-rounded plastic shells that perfectly wrap around your head to keep it in shape upon impact. They also provide deeper temple and rear-head protection. So, what options are here? 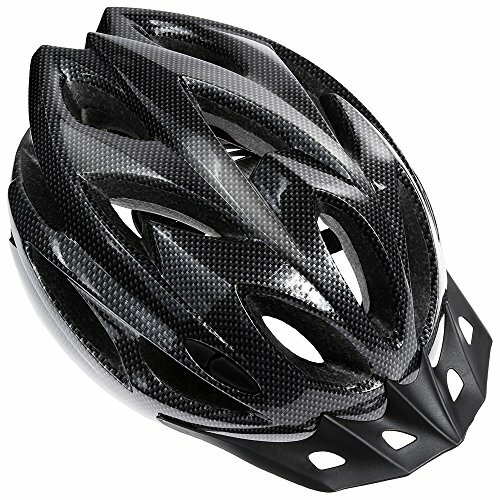 Well, I love everything about the CPSC Certified Zacro Bike Helmet. The looks, lighter weight, and how it fully covers king-sized heads. But the real deal is in the protection…. It feels so strong yet it’s not constricted. Its kudos to the manufacturer for a job well done! A Guide To Buying Bike Helmets For Big Heads. 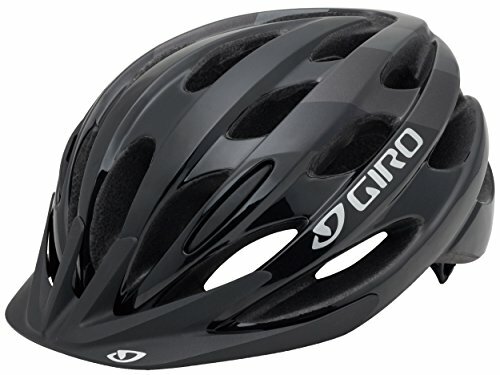 Most bicycle helmets for large heads use the famous in-mold construction that fuses the inner liner and outer shell without using glues to yield a light-yet-strong XL bike helmet. Racers and frequent bikers really love the weight savings of such a king-sized helmet. Additionally, check that the shell slides on impact (to better protect your large head and neck). As well, the liner should fit your head comfortably. Some helmets for big domes feature special technologies aimed at delivering more protection during a bicycle crash. These include the multi-directional impact protection technology system (MIPS) that has won accolades because of delivering additional shielding from rotational forces. MIPS-equipped cool bicycle helmets flaunt a low friction layer that permits the impact-absorbing foam helmet liner to rotate around your head to minimize impact during bike crashes. Some “pumpkin sized” mountain bike helmets for large heads also come with a face-protecting wraparound chin bar that’s an extra guard in downhill mountain biking. The best cycling helmet for big heads should let your head breathe. The more the vents, the lighter your large bike helmet too. As part of coolness, you will also be interested in sweat control. An outstanding large helmet should let you drown in own sweat and will instead have moisture-wicking pads. The strap system for your big helmet should be easy to buckle/unbuckle and comfortable. It should also be easier to adjust and importantly, remain safely in place. Many stylish bike helmets have an additional retention system to tighten the helmet’s inner shell around the head. This should again create a snug fit as should helmets that come with straps that accommodate ponytails. Whether you’re round-headed or oval-headed and wide (side-to-side/ear-to-ear), the right fit is essential. Your extra-large men’s bike helmet (and women’s’) should remain level on the head, touching it all around, be snug, and not wobble in any direction. Plus, it must never pull off regardless of how hard you’re trying. Quantify your extra-large head by measuring the circumference before starting your search. This helps to ensure a fitting helmet size. Some of the most protective bike helmets look gorgeous. Of course, safety comes first but I would love it colorful and have the visual appeal to match my taste. Some riders also prefer helmets with a sun-shielding visor. A visor will, however, add extra weight and some inconvenient wind resistance. Additionally, all helmets sold locally must meet the requirements of the consumer products’ safety commission (CPSC) or equivalent standards. Other features like reflectors boost your safety when riding at night. People with large heads should use bike helmets for big heads. The oversized bike helmets are wider and roomy all round and fit big heads comfortably even leaving room to spare. You enjoy a snug fit, enhanced protection, and are very easy to slip down your head or out. Indeed, nothing is as reassuring as having a cozy, stylish helmet protecting your head as you set off to a scenic family ride to the wilderness.